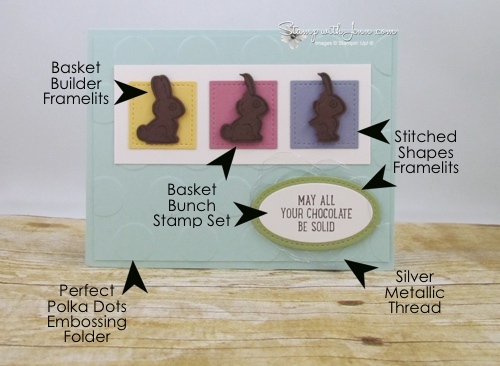 Here’s another cute card today using the Basket Bunch Stamp set and the matching Basket Builder framelits. I got this card from a demonstrator friend, Kristine Burns from Calgary, Alberta. 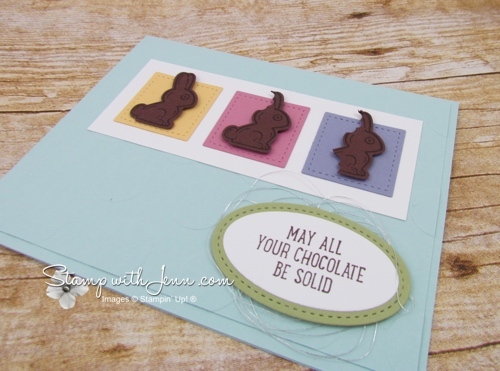 I love how Kristine used a little circle punch to take “bites” out of the little chocolate bunnies. 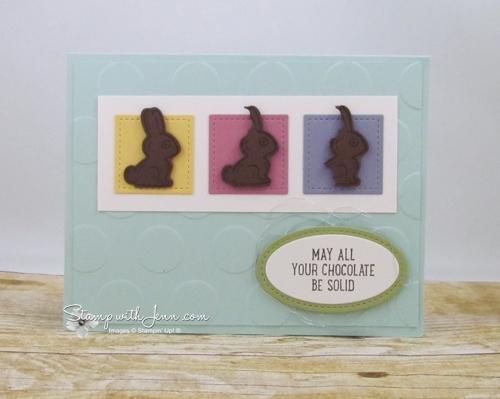 See another cute card using Basket Bunch stamp set here and here. To order this stamp set, click on any of the supply items below or email me at fun@stampwithjenn.com.